We’ve all heard the verse in Ecclesiastes that tells us “To every thing there is a season, and a time to every purpose under heaven.” Few people understand the importance of timing better than new country duo Branch & Dean. Known for their explosive live show and a potent repertoire that includes the unflinchingly raucous anthem “Your Ol’ Lady’s Gone” and the poignant hit “The Dash,” Steve Branch and Dean Scallan have parlayed a lifelong friendship into an exciting creative adventure. “I grew up singing with Branch and I thought if you wanted to be a country singer, you had to be able to sound like the great Steve Branch,” says Dean. Branch’s distinctive vocals anchor the duo’s breakthrough hit “The Dash,” a tribute to his 23-year-old son Theron who died after years battling Cystic Fibrosis. “The Dash” challenges listeners to make the most of every moment between the birth and death dates that will someday be listed on their headstones. “Life goes by so fast and our story’s defined by how we spend that dash,” Branch sings in the hauntingly beautiful ballad. “The Forgetter” is a rowdy tune that finds a heartbroken country boy looking for a powerful drink to drown his sorrows. “Ink” paints a portrait of a defiant country girl sporting some interesting tattoos, including an ex-boyfriend’s name that her new man isn’t so happy about seeing every day. The duo close the album with “The Jesus in You,” a modern gospel classic penned by Huffman and Dean that speaks of forgiveness and love. 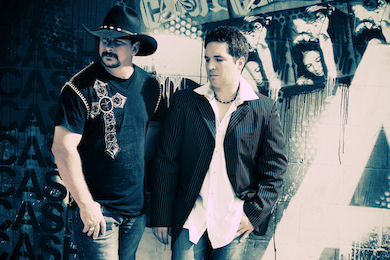 After years of music and friendship, Branch & Dean’s time has arrived and they are thankful for the opportunity to reach more people with their unique brand of high-octane country. “You never know how big the wave is going to be or how long it’s going to go, but right now we’re having a blast,” says Dean.